Amazon is more often than not, becoming a consumer’s first port of call when completing a product search. We have seen an increasing number of brands and manufacturers, who have created a brand store on Amazon, seeing their own brand website “losing importance”. Amazon dominates e-commerce. Consumers trust Amazon for delivery, and Amazon are ranked #1 for customer satisfaction. It is an obvious choice for retailers, brands and wholesalers to leverage Amazon’s dominance and distribute their products via Amazon. As a result of this, Amazon is becoming a crowded marketplace, making it more difficult for new sellers to be found. This is where Amazon SEO and Amazon Advertising play a huge role. Amazon SEO involves creating a keyword rich copy to gain visibility, and PPC involves paid advertisement. Both of them go hand in hand, and this course helps you to understand how SEO and paid ads can help your products rank well in search. Amazon Advertising is available for both Seller Central and Vendor Central users. They are a way for sellers to ‘buy’ a position at the top of Amazon’s search, and several other placements across the Amazon site. As a seller, advertising it is a fantastic opportunity to increase visibility and sell more products. More importantly, Amazon’s sponsored ads program is simple to set up and handle, and the cost of sales can be as low as 5%. In this training course, we will show you how to increase your organic product ranking and how to get the best out of Amazon Advertising. 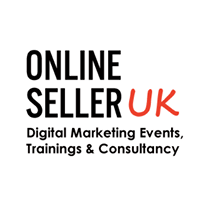 This course is aimed at digital marketers, seller central users, vendor central users and typically delegates have experience of using Amazon in some capacity. Please bring your laptop, this will allow us to make the session practical and tailored to your own account. | Jonathan Harrod, Iain Smith Group The course hugely informative, filled with great technical advice and it was demonstrated in a manner that was easy to understand, Prabhat always took the time to ensure the entire group understood the topic being discussed and clearly knows how to grow a business through Amazon selling. I had the pleasure of being at one of Prabhat's training sessions covering an Amazon Masterclass. The session was extremely helpful and very interactive. Prabhat's ability to provide practical advice for even the smallest of issues seemed never-ending. I would thoroughly recommend going to one of his training sessions or getting him to come and support you through your company growth. Prabhat's Amazon training was detailed and tailored to suit our needs as a business. He was extremely knowledgeable and able to answer any questions that we had throughout the training session. As a company, we learnt a great deal and I would not hesitate to recommend his services. Can’t make it to London or looking for a bespoke course? We are happy to provide in-house Amazon training to you and your team.